While the ‘pot is hot’ in states like Colorado, Washington, Oregon and Alaska other states of the US are also considering the future of commercialization and legalization of cannabis. Keeping aside the previous taboos and other issues related to cannabis, there is a great business opportunity shining in the horizon. The unanimous vote to legalize cannabis had left very little window of doubt about the fact that it is going to be one of the most coveted business opportunities in recent times. However, states like Montana, Minnesota, Illinois, Nevada, California, etc. have already made way for cannabis for medical purposes; the possible recreational use, however, is still lying under bit of ‘smoke’. No matter what, this is going to be a regulated yet profitable market in near future. There are numerous clauses regarding alcohol but it is a great money-making business opportunity for many. Cannabis promotion needs to be done with wisdom. But as cannabis or marijuana have always had an apprehensive response from the society, it is slightly difficult to establish it in comparison to other products. The ethical part of this business is the USP of the company that is selling it. And to maintain that you need to build a clean and green brand identity. While promoting cannabis, the advertisement and marketing strategy needs to be carefully listed. For example, the promotions should not depict illegal consumption, over-use, under-age usage, etc. It is very important to diminish the idea of addiction ingrained with the name of cannabis. So, the promotion campaign needs to be designed with caution. The age group, culture, gestures, language and symbol used in promoting cannabis should be considered with utmost care. All these are important part of creating your business identity. A branding agency understands the importance of having an attractive and clear business expression that will appeal to the customers of the right age group. 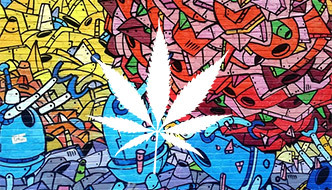 The emerging cannabis industry needs to maintain a specific yet terrific line of promotions. A creative platform is the utmost requirement that supports the artistic need of your cannabis production company. Be it logo design or label creation, everything matters. With states like Missouri, Hawaii, Maine, California, etc. are thinking of breaking the chain, the industry is looking much more lucrative and competitive. Brandsy.co is your solution to your cannabis branding needs. The creative team of Brandsy tries to understand your vision and goal. This knowledge of perspective is the stepping stone towards creating your dream. The logo is the face of your company. A creative squad is required to create a brand identity that will emote the true essence of your business. Apart from this, we give you the virtual mileage by creating a pro-business website and doing the required optimization so that your potential cannabis buyers find it. We know that to reach out to your possible buyers, you need to have a great web presence. For assured growth optimum quality services is the main requirement. To create a name synonymous to trust and quality, Brandsy’s cannabis branding services is what you need.